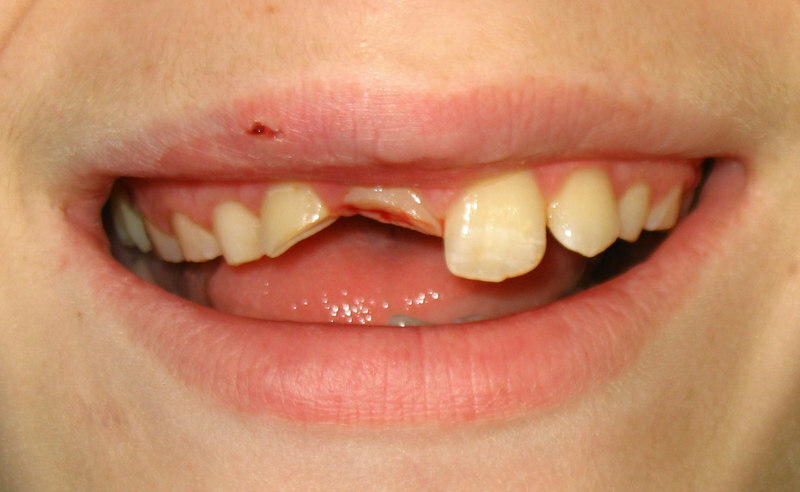 Imagine what it would be like if you suddenly lost one or two of your front teeth. Smiling, talking, eating—everything would be affected. That’s why knowing how to prevent and treat dental injuries is important if you participate in organized sports or other recreational activities. When it comes to protecting your mouth, a mouthguard is an essential piece of athletic gear that should be part of an athlete’s standard equipment from an early age. 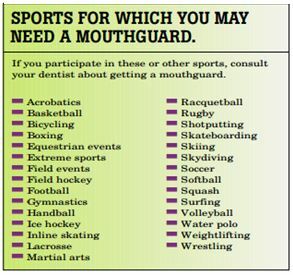 In fact, an athlete is 60 times more likely to suffer harm to the teeth when not wearing a mouthguard. Stock mouth protectors are preformed and come ready to wear. They are inexpensive and can be bought at most sporting good stores. Boil and bite mouth protectors also can be bought at many sporting goods stores and may offer a better fit than stock mouth protectors. Custom-fitted mouth protectors are individually designed and made in a dental office or a professional laboratory based on your dentist’s instructions. 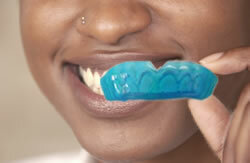 Although custom-made mouth guards are more expensive, they provide the most comfort and protection. 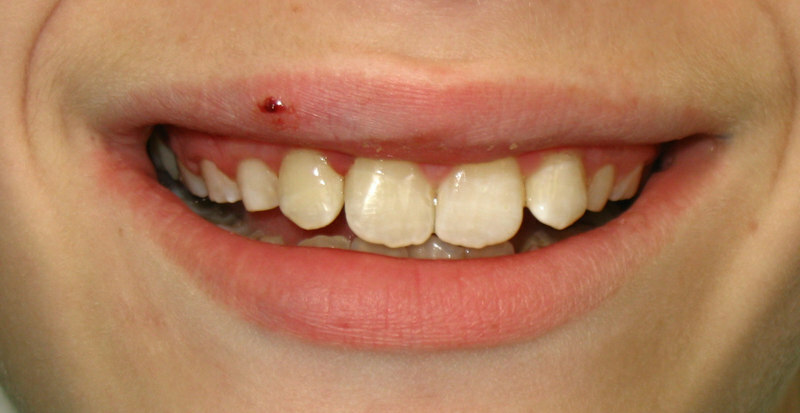 Patient was hit in the mouth by a billiard ball and fractured two teeth. Do not allow the athlete to wait until the end of the game to seek treatment for a dental injury. Transport them and the tooth (in Hank’s Balanced Salt Solution (Save a Tooth), milk, saline soaked gauze, or under the athlete’s tongue) to the dentist immediately. Glen Oaks Dental was able to bond the tooth fragments to the intact teeth, restoring the patient’s smile. Even if a tooth has been knocked out, it often can be saved if you get to a dentist quickly enough. Minor chips and cracks can be repaired. Dentists use tooth-colored materials that are nearly as strong as the original tooth. However, even “minor” dental injuries can cause serious and costly damage. The dentists at Glen Oaks Dental routinely perform emergency and restorative procedures, and have developed a thorough approach to determine the best solution for each patient. If you or a family member suffers a dental injury, contact Glen Oaks Dental immediately at 763-786-8460. An athlete is 60 times more likely to sustain damage to the teeth when not wearing a protective mouthguard. The cost of a fractured tooth is many times greater than the cost of a dentist diagnosed and designed professionally made mouthguard. It is estimated that faceguards and mouthguards prevent approximately 200,000 injuries each year in high school and college football.